This week on the podcast the guys talked about the training they received in paramedic and EMT school to prepare for psychological emergencies and emotional patients and family members we encounter in EMS. How much training on this did you have in EMT or Paramedic school? Was it as much as Jim, Josh and Dave had? Be sure to leave your thoughts on this one below so we can bring this discussion to the show a little more and offer feedback from you the listener. Click here to find out about how you can become a Premium Member at Turbo Medic. After a short break for Memorial Day, Josh and Jim are back to discuss a topic that in the past may not have been at the forefront of our EMS list. Discussing the recent JEMS issue and EMS preparedness, we talk about how it can pay off and why more than ever preparation can be the key to patient survival and provider safety. Guest caller Walter Dusseldorp of the Hudson Valley Paramedic Association made this a very interesting episode. See the JEMS articles mentioned here. Check out the MCI Response webinar here. Do We Need Better Cross Training? Ever think EMS should do more cross training with our law enforcement and fire counterparts or vice versa? It can be hard to know what is expected of us at fire scenes, crime scenes and accidents. I am sure it is just as frustrating to police and fire when they don’t know what we expect or need from them on our calls. Better inter agency training can certainly help alleviate confusion and make us appear much more in tune with each other to the public as well. Thanks to my special guest Rommie Duckworth who is filling in for Josh for this episode and to John Broyles for holding it down in the chat room. This episode is sponsored by EMS Manager. Be sure to claim your free customized trial of their EMS employee scheduling software by clicking here. Should EMS Add Chest Tubes To The Toolbox? Chest tubes in EMS? Maybe we should stick with what we know here. What do you think? Is your agency doing them or thinking about it? You’re an EMS provider. You’ve listened to your instructor, supervisor, FTO and anyone else who can give you that insight into the world of EMS right? But did they ever tell you about certain things you will see, be asked to use or be prepared to act on? At what point does it become your responsibility to know about these surprises? Take a listen as Josh Knapp and I discuss this along with the Chat room. 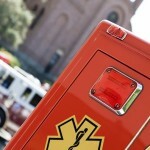 New titles and changes in EMS levels present some challenges to EMS. Some states are leaving certain level names as is, some are adding another level. These changes also present a challenge to the volunteers in EMS and funding available. Shouldn’t every state adopt what the National Curriculum has presented? Is this a death knoll to the volunteer system or a chance for them to embrace and meet the changes that look to improve the EMS profession? Take a listen to this session an give your point of view on the EMS transitions.